£250 (saving £75). Level 1 is a pre-requisite. At this level the strength of the signals will increase. You will gain more clarity. Information will “down load” faster. 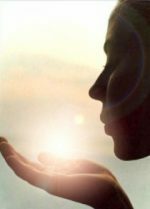 Introduction to and practice with the powerful Psychic Reiki™ symbols. Use the Psychic Reiki™ channel, guides and Higher Beings to increase your ability to channel HEALING energy of your self and others. DOWSING: with charts to get more accuracy with psychic information. Remote Viewing, Psychometry & More….. The different levels of consciousness and their importance. Connect with Archangels, your Guides and Power Animals.